Pakistan's westerly neighbours Iran and Afghanistan's presidents landed in capital Islamabad Thursday for a regional huddle of three countries that form the core irritants of Washington’s foreign policy. 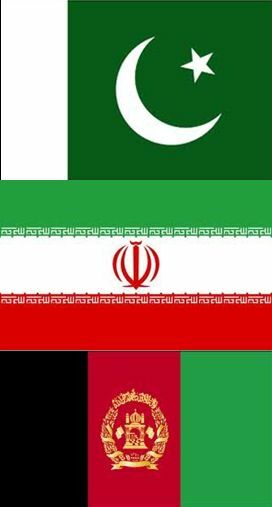 After a day of bilateral talks, which will discuss a range of issues from Afghan peace talks to early completion of the Iran-Pakistan gas pipeline project, there will be a trilateral summit today (Friday). Afghan President Hamid Karzai was the first to arrive on Thursday – holding a round of talks with Pakistan’s civil and military leadership. Iranian president arrived later and all three will hold trilateral talks. Later Iranian leader will hold bilateral talks centering on Iran-Pakistan oil pipeline project.